Loveeeeeeee this! LOVING how you added the lyrics!!!!! Very cute and fun espeically with the homemade background paper. Love it. I was organizing and came across my retro atari console..we haven't used it in years but I just can't donate it. 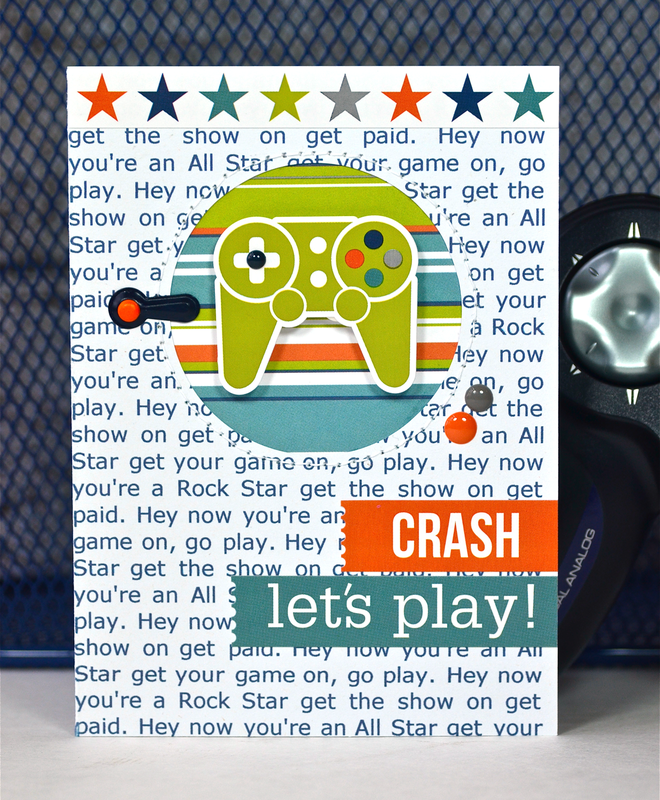 You are a rock star and you definitely have your game on - way to go!! My son saw this card and said, "whoa, mom, could you make me a card as cool as this one?" I told him I could try but I might not ever be as cool as Lisa!! :) This really is a perfect card for the cool boys in my life!! Can't wait to see what you do with all the colorful doilies you ordered!! Have a great night!! Love the fun look that text paper gives your card, Lisa! What a fun card, Lisa!